MH Apps Ltd was founded at the start of 2010 and is based in Lerwick, Shetland. Since then the business has been constantly busy delivering a number of projects small to large for local and national business, including household names & fortune 500 businesses (who we're not allowed to talk about!). The business's emphasis has mainly been on providing office solutions for every day business to increase organisation and efficiency. Mark has been into software development since Sound Primary School and graduated with a BSc in Computing from Robert Gordon University in 1999. 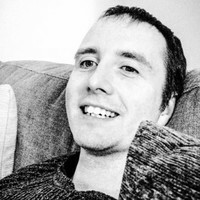 He has worked in a diverse range of software development roles for businesses in Aberdeen (Oil Industry, NHS, Legal), Glasgow (Broadcasting, Media), Sydney (CBD Development Agency) and contracted in Auckland, before moving back to Shetland in 2010 for a quieter life (which hasn't happened yet). In his spare time he enjoys poly-tunneling (when time permits) and making electronic music (Spotify/YouTube details available on request). Matthew has had great interest in programming from a young age, and graduated from University of the Highlands and Islands with a BSc (with distinction) in Computing in 2012. After graduating, Matthew looked to apply his knowledge in programming with MHApps Ltd where he quickly became proficient at C# and .NET development. To relax, Matthew enjoys to work on personal software development projects and attempts to beat retro video games as quick as possible (which isn’t very fast…) for a challenge. Software development and databases is at the core of the company with a firm understanding of computer programming across Windows and web environments. We have an eye for design, but that is secondary to programming and information management. The technology we use (for the tech-savvy) is Microsoft-based using the .NET framework (C#), which includes Windows Forms and WPF applications (the new store style), ASP.NET MVC for web applications and SQL Server for databases. We also develop cross platform applications natively on Apple, Android and Windows using Xamarin from the .NET framework, a cross platform build tool. Lower level C++ is also used occasionally for performance and cross platform work. We unfortunately don't use PHP, Python, Linux or other languages/operating systems (unless for conversion projects) purely for the reason we feel it is better to master one language than be spread too thinly across many. These languages have their merits, but we prefer the object orientated programming approach of .NET, on what still is the most common business platform, Windows. We've partnered with web designers, graphic designers, marketing agencies and other digital agencies in the past, and welcome project collaborations. We specialise in taking care of the technical side of things where perhaps more complex functionality and programming is required or standards need to be high to ensure good performance/robust security for example. If you are involved in any of the aforementioned areas, please feel free to touch base with us, as we often look to subcontract such work out on larger-scale projects.